Aquapac Whanganui Electronics case - Aquapac Whanganui Electronics Cases are perfect for today's gadgets, from cell phones to tablets and everything in between. Take them to the beach or out on the water. 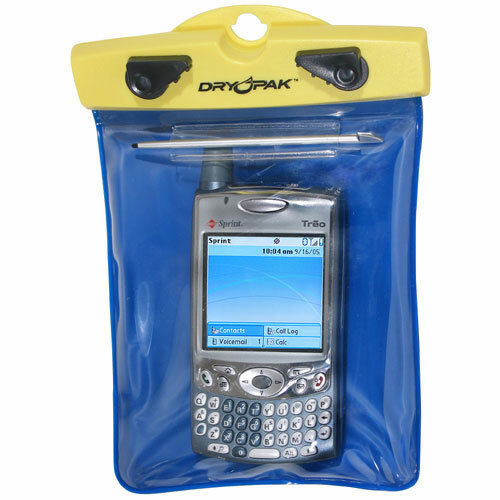 Aquapac cases are watertight and dustproof, and everything works normally inside the case. Sound and signal pass right through the tough, flexible PVC-free material. You can talk and hear without a problem, and even use your touchscreen! The innovative Aquaclip (a patented, ultra-secure, rustproof, injection-molded plastic seal) opens and closes with a simple twist of levers, keeping everything in one piece even when open. 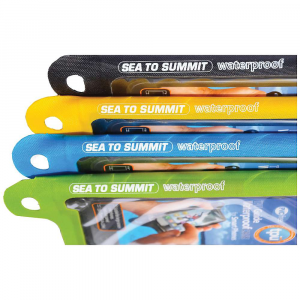 High-frequency welded seams form a super-strong bond, and Aquapac cases float safely if dropped in the water. 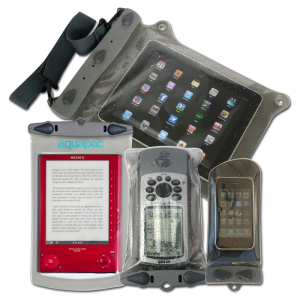 No matter where you're headed, Aquapac Whanganui Electronics Cases will protect your gear. Store all your small electronic devices in the NRS Aquapac Whanganui Case for complete waterproof protection. 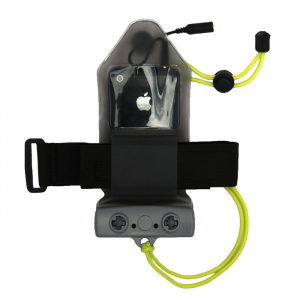 Great for phones, small GPS units, or tablets, this case is lightweight, submersible to 15 feet, and doesn't add a lot of extra bulk. The outer material allows sound and signals to pass through as well as allowing touch screen compatibility so you have unhindered control over your phone at all times. Aquapac Camp & Hike Small Whanganui 348 5530603100. With Aquapac's Small Phone Case 348 you can safely use your larger smartphones like most Samsung Galaxy models while it stays protected from the elements. 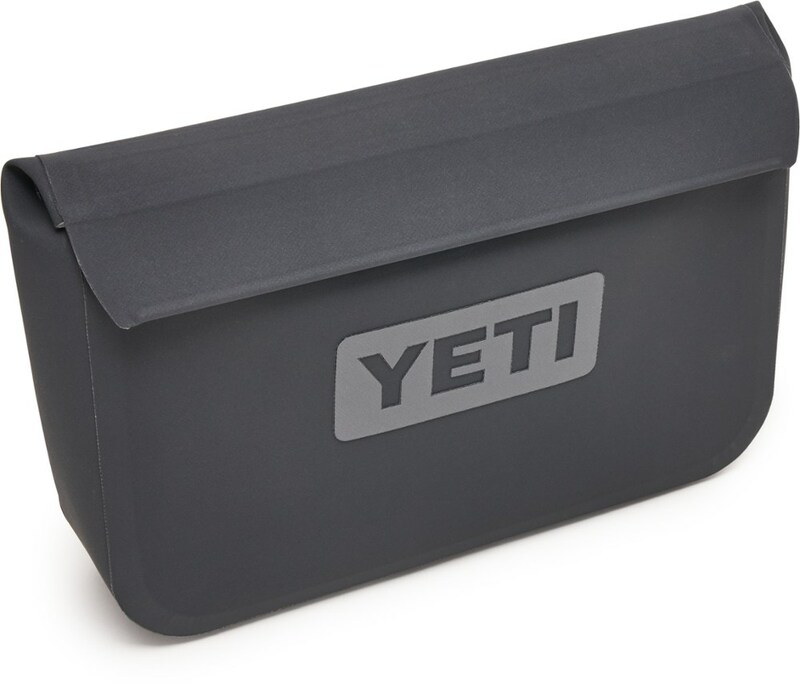 Guaranteed 100percent waterproof up to 15ft/5m. Perfect for use with most Samsung Galaxy phones or larger phones that won't quite fit the Aquapac 108 Phone Case like the iPhone 6. 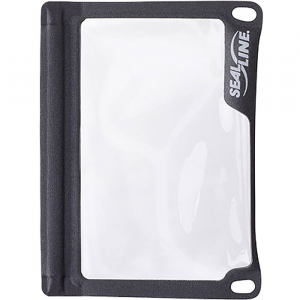 Airtight seal means your valuables will stay safe and dry if you drop them in the water. Covered by Aquapac's three-year warranty against defects in worksmanship and materials. Fits items 6 Tall by 8 in Circumference. All Aquapac waterproof cases are PVC-Free Now made from Polyurethane (PU) - 100percent recyclable thinner stays flexible when it's cold easier to operate equipment inside the cases. Sick of rifling through your big dry bag to find your iPod and map' Or going out for a short paddle and want to bring just a few necessities without fear of water damage' Grab the NRS Aquapac 654 Small Whanganui All-Purpose Case. The Whanganui (wang-ah-new-ee) is waterproof to 15 feet so you needn't worry if this pack goes for a swim during an unintentional capsize, and this case will float. 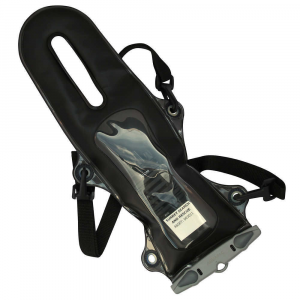 Secure the detachable shoulder strap to your kayak rigging or use it to carry the Aquapac on shore lunch-breaks.